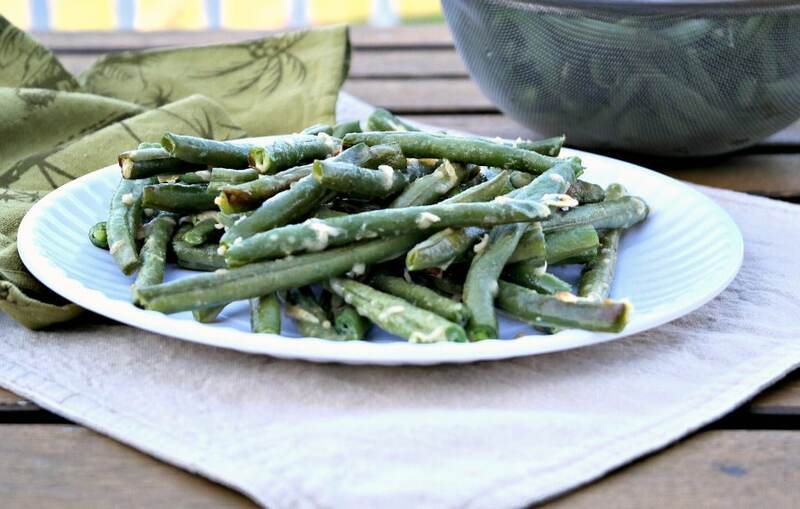 Parmesan Roasted Green Beans seasoned with himalayan salt and garlic! This delicious and simple healthy side dish compliments any of your favorite meals. Tell me… green beans. Yay or nay? For me, definitely yay, but I’ll only serve them fresh. I’ve never been a fan of the canned version. I just don’t like the watery soft texture of the beans. Green beans have an odd smell when you first open the can too. Plus, I didn’t grown up with canned beans, so it’s not something I’ve ever been accustomed to. I picked up these fresh green beans from a produce stand in Maryland when I went to visit my sister and her family last week. 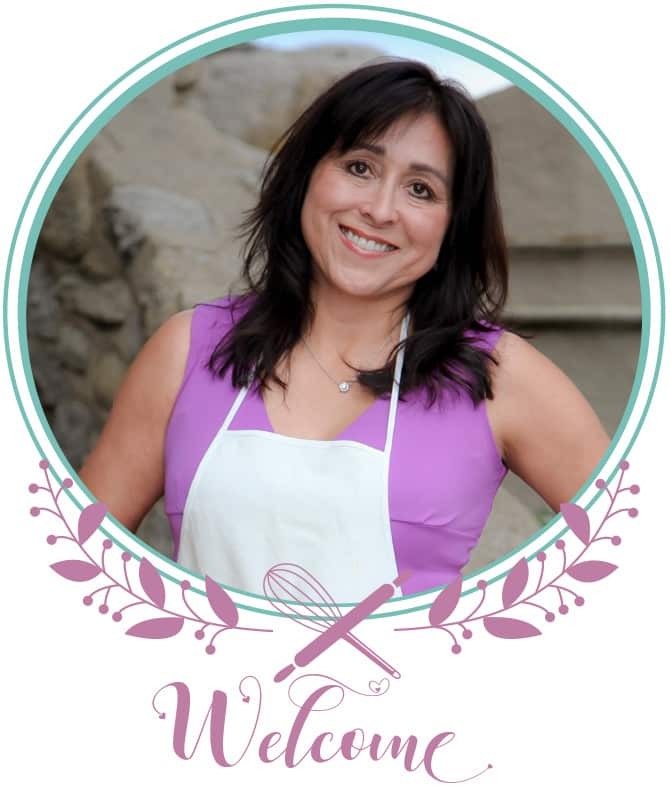 We were getting ready for one of many feasts that we had while I was there, and I wanted to contribute by making a couple of healthy dishes. Maryland hasn’t been informed that fresh green beans should be reasonably priced though, especially during the summer months. I think I paid almost $5 for a pound. Yikes! Maybe they were organic and I just didn’t notice. Regardless, this parmesan roasted green beans are so tasty and worth every delicious pricy bite! I love roasting all types of veggies. This cauliflower dish is one of my favorites as well as these sweet potatoes with sage. Roasting veggies brings out their natural flavors, and when you coat these green beans with simple seasonings they take a drastic turn from good tasting to scrumptious! Add these beans to any of your favorite main dishes! 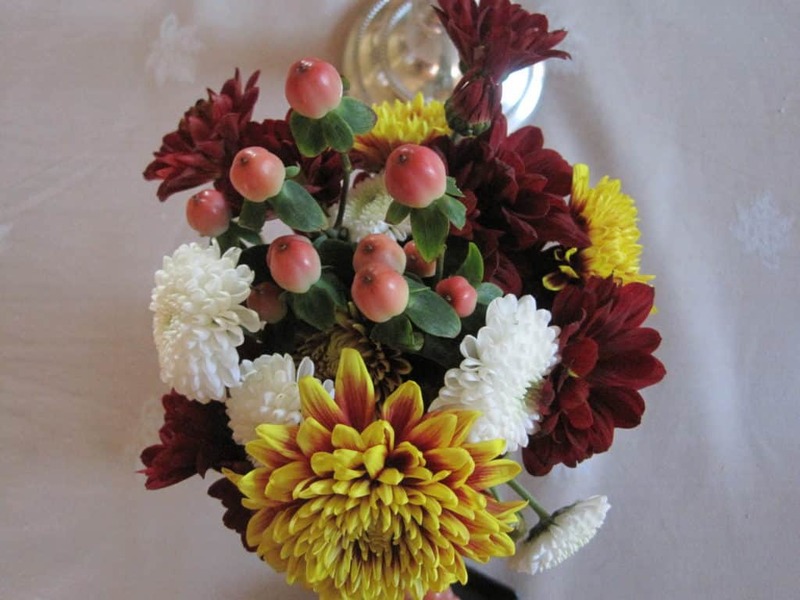 These would taste delicious with meatloaf or beef saltado. You can even over cook the beans and eat them as a crunchy appetizer or snack! Preheat oven to 450 degrees. Line baking sheet with parchment paper and set aside. In a large bowl whisk together egg, olive oil, garlic powder, and salt. Add green beans to the bowl and gently stir until each piece is covered with the mix. Drain excess egg and then add the parmesan cheese. Gently stir into the beans. Spread the green beans on the prepared baking sheet. Bake for 15-20 minutes. Canned green beans are one of my most hated foods. 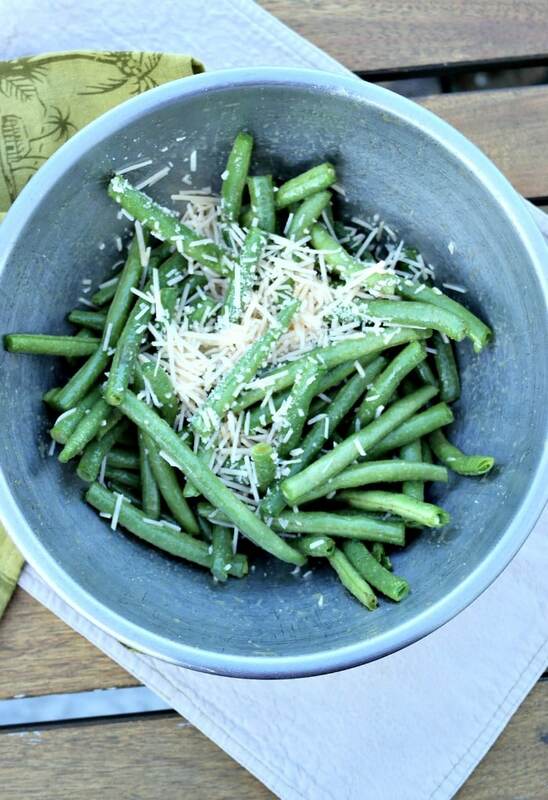 Fresh green beans are delicious though and with a crispy topping of parmesan they become really super! Thanks for sharing! I’m glad I’m not the only one that can’t stand canned green beans 😉 Fresh all the way!! I like fresh green beans a lot, but get tired of them. Being a parmesan lover though, this looks fabulous! Will definitely be trying. My Husband isn’t real fond of Green Beans, but when something comes with cheese, he is always a fan. I am going to try these next week. Let me know if he approves 🙂 I never mind if the whole family doesn’t get on board because that means there is more for ME! Sooo easy to make and delicious. And super healthy 🙂 Love it! Sharing this! Thank you, Natalie! Sure appreciate the share. 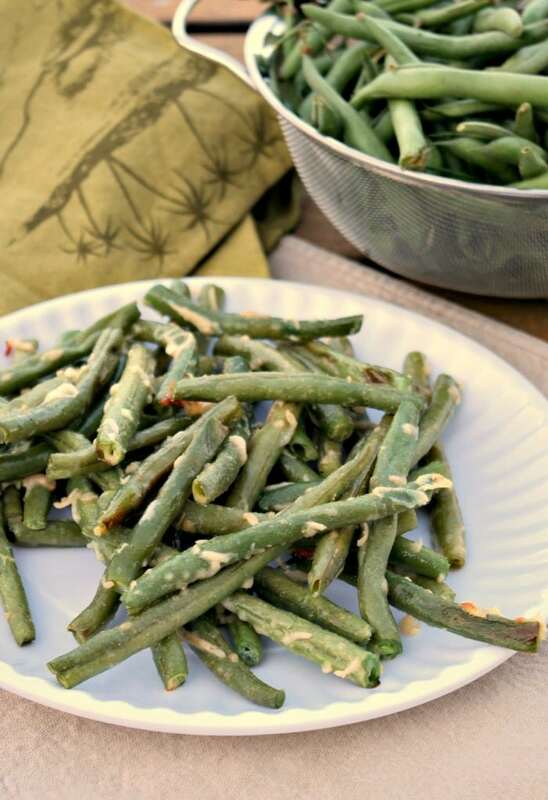 What a fun way to enjoy green beans! I know my family will love these and they are low carb too. Win win! Sharing everywhere! These sound delicious. I’m with you, no canned beans for me either. Although on thanksgiving my mother in law insists the casserole be made with canned. That’s my only exception. 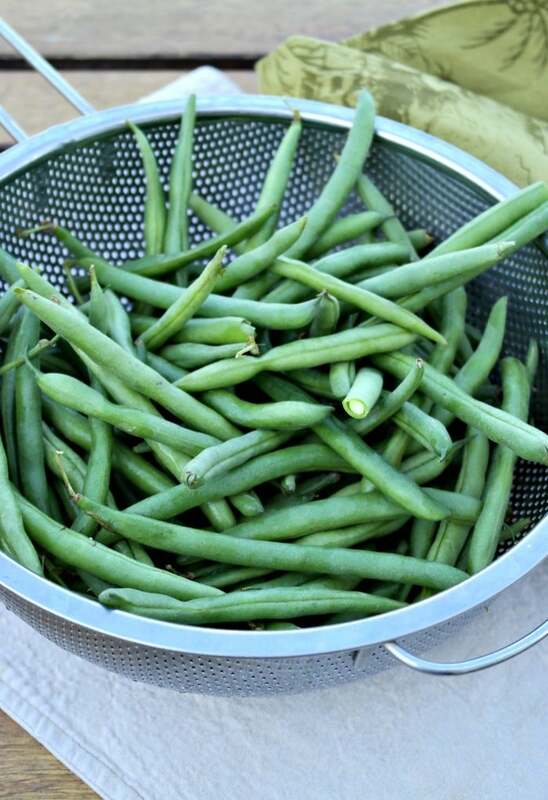 Green beans are so easy to grow – very low maintenance. I’ve got 5 bags frozen fresh from the garden, so I’m always looking for new ways to prepare. Thanks. These sound delicious! 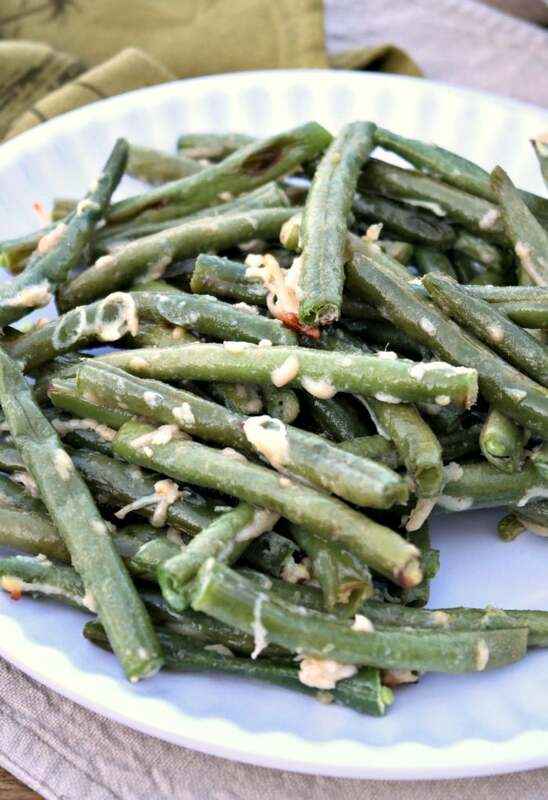 I love roasted parmesan green beans!